International Journal of Soft Computing and Software Engineering, invites you to submit your research paper for publishing in next Volume. Subject Category: Soft Computing, Automata Theory, Software Engineering, Computer Science Engineering, Information Technology, Electronics and Telecommunication Eng., Algorithms, Electrical Engineering. Paper Submission send by Submission System (you can track your paper) @ http://www.jscse.com/submit_fast.aspx . International Journal of Software Engineering and Soft Computing provide a forum for software engineering research that publishes empirical results the relevant to both researchers and practitioners. SCSE encourage researchers, practitioners, and developers to submit research papers reporting original research results, technology trend surveys reviewing an area of research in software engineering and knowledge engineering, survey articles surveying a broad area in software engineering and knowledge engineering, tool reviews and book reviews. The general topics covered by SCSE usually involve the study on collection and analysis of data and experience that can be used to characterize, evaluate and reveal relationships between software development deliverables, practices, and technologies. 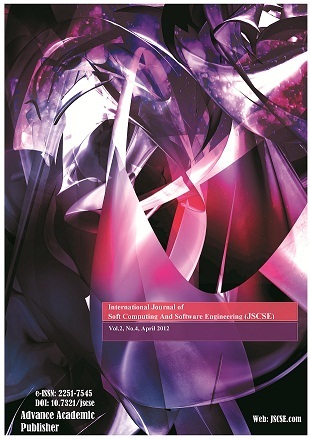 SCSE is a refereed journal that promotes the publication of industry-relevant research, to address the significant gap between research and practice. JSCSE sponsor(s) provide JSCS16/1 Grant for PhD Computer Science students as follows. PhD student (from top 20’s University) : $110 publication grant ($80 for publication fee). PhD student (from top 80’s University) : $100 publication grant ($90 for publication fee). PhD student (regular) : $40 publication grant ($150 for publication fee). - Submit a valid PhD student ID, and a letter from your department through the JSCSE submission system.